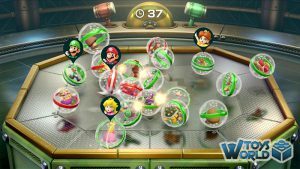 The original board game style has been kicked up a notch with deeper strategic elements, like specifc Dice Blocks for each character. 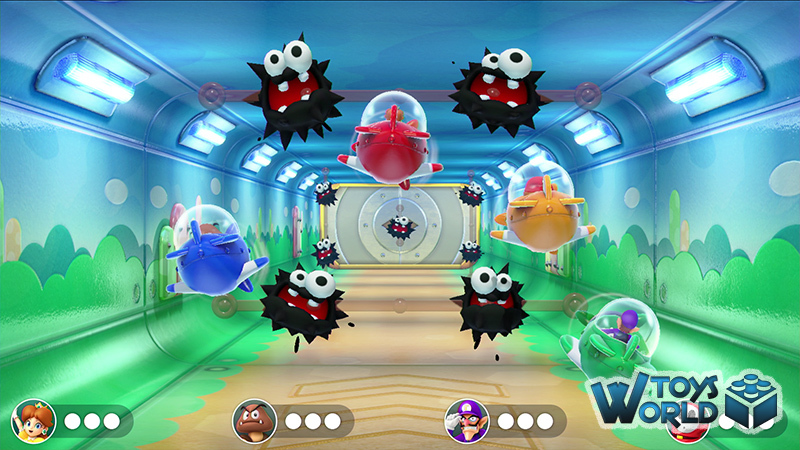 The game also introduces all-new ways to play, including Joy-Con controller enabled minigames, and new modes to enjoy with family and friends. Board game play goes back to the four-player basics as you take turns and race across the board searching for Stars. 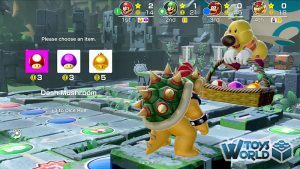 You can also pair up two Nintendo Switch systems and delight in this dynamic play style, such as in the new Toad’s Rec Room mode. 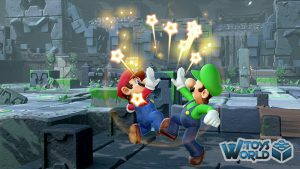 In the short time that the Nintendo Switch has been on the market, several titles from Nintendo‘s history have been given a new lease of life; Zelda, Mario – even Kirby have been refreshed and rejuvenated for a whole new generation. 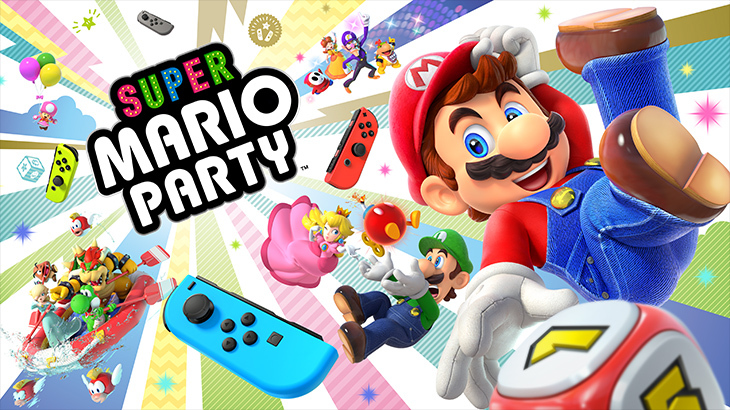 This year sees the 20th Anniversary of the Mario Party franchise, and, as with the previously mentioned titles, the all-new, tititular, Super Mario Party benefits from an exciting new chapter that takes all the fun and familiarity of its predecessors (as well as learning from some of the pitfalls of the less successful iterations), and catapults it into a new direction. 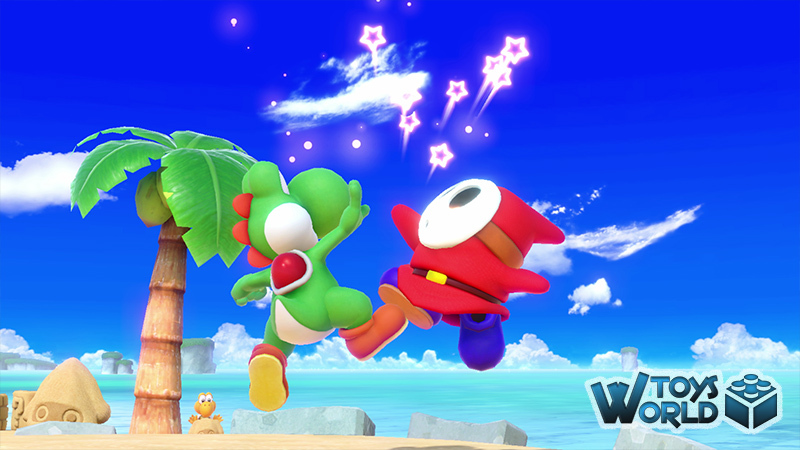 It definitely goes back to basics (in a good way), especially with Party Mode and its classic, board-game style. 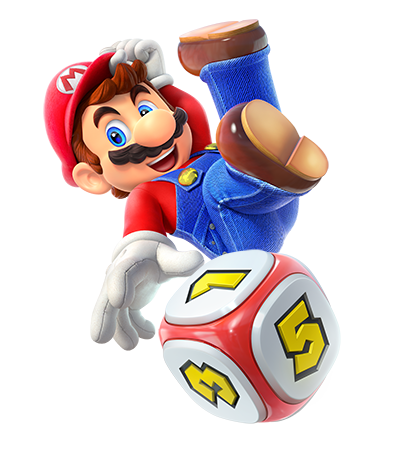 There’s plenty of variety to mix things up, too; River Survival, Sound Stage and Mariothon, help take the player away from the linear style of board-oriented play, by throwing in strategy and rhythmic motion control based mini-games. 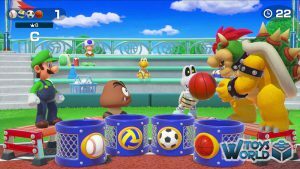 Speaking of variety, there are 80 mini-games to experience, each making things seem fresh and exciting, and thus adding fantastic longevity to the title. Focusing a little more on the board-game style play, players who land on special squares now have the ability to add allies into the mix – you can actually enlist up to three – and together with their own, unique dice blocks, and increased rolls of the dice, you can boost your chances of climbing your way up the rankings. 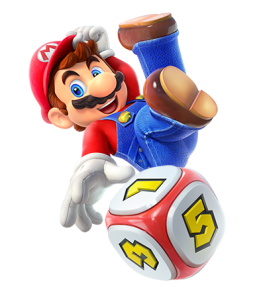 Luck is very much a part of the gameplay, and it’s only when you get to choose the directions to move in or actively take part in the mini-games, that you have some control over your fate. Equally, there’s something exciting about not completely knowing where you’re going to end up in the final tally – allowing players of all ages to be in with a chance. Super Mario Party allows you to have up to 4 players, and even allows you to connect other switch screens together to make a bigger screen. 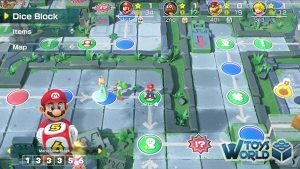 It’s a fun mode that shows just how intelligent the Switch is, by knowing the orientation you place the screens in, in relation to the play. 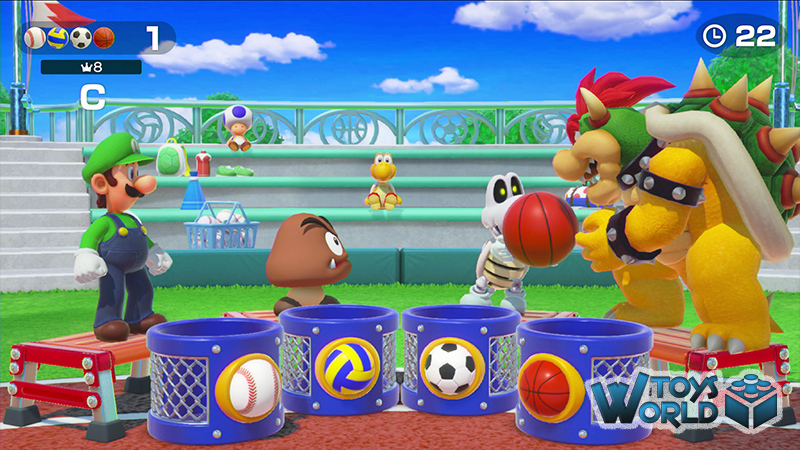 Overall this is a true return to form that takes the franchise back to its roots. 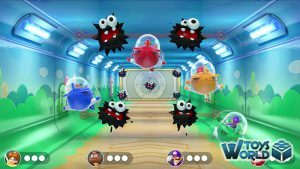 A game that can get friends and family together for a fun-filled selection of argument-inducing, teamwork-making, and half of your day-taking gameplay! 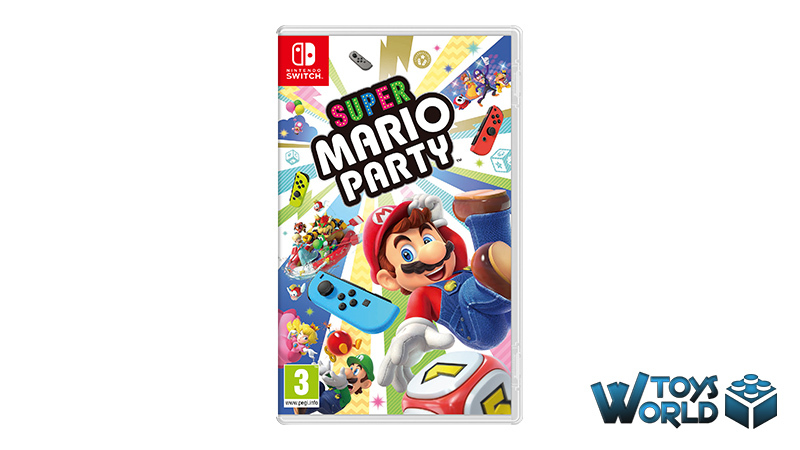 It really does exactly what it says on the tin and puts the ‘Super’ in Super Mario Party. Immensely enjoyable! 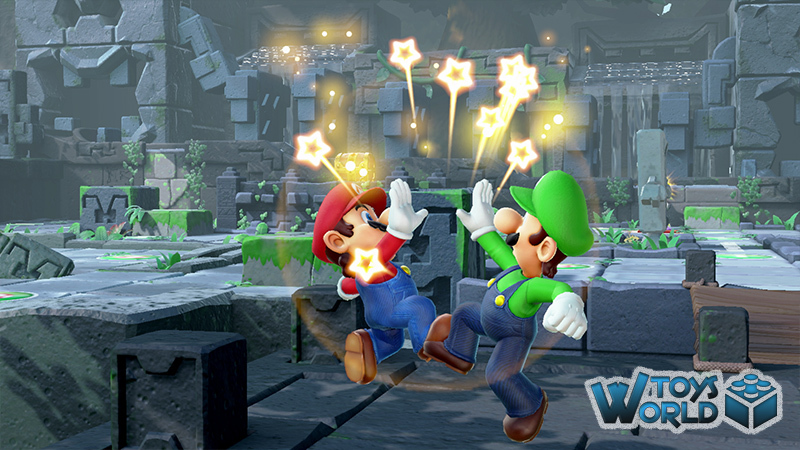 + BUY Super Mario Party from Amazon.co.uk! 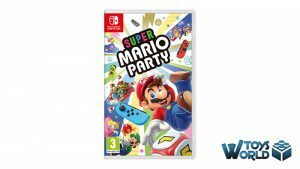 + BUY Super Mario Party from Amazon.com! 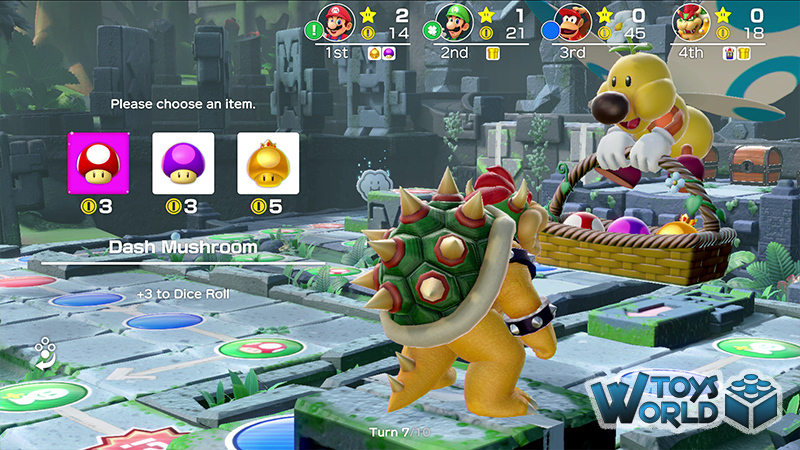 Video Games & Consoles Mario, Mario Party, Multiplayer, Super Mario, Super Mario Party, Video Game, Video Games. permalink.